So excited about today's Pinned It. Did It. post from Meg. Quick, easy to do smart ideas that you just might need. Love using Pinterest to find ideas like this. It’s been a few months now since Liz and I started to really focus on using Pinterest for good, and I’ve been thinking about how sometimes Pinterest can feel overwhelming. I often hear people say that Pinterest makes them feel inadequate or like they aren’t doing enough. But I think the beauty of Pinterest lies in the ability to tuck ideas away for the right time when there is a project that I’m ready to tackle or the recipe I have been meaning to try. I like to look at it through the lens of each idea, recipe, pin as a bonus. Something I can add to the life I am already living. Sometimes those are big things like tutorials for making a new headboard or reorganizing entire rooms of the house. But sometimes they are small little things that just fit into the category of “smart ideas.” Not everything on Pinterest has to be a big production or needs its own tutorial. Here are a few simple “smart ideas” I’ve recently tried from my pins. I tried this a couple of weeks ago after I made new curtains for my son’s room. They were not as light-blocking as I’d hoped they’d be so I bought two bungee cords and hung the previous tan ones behind the new polka dot ones to help block out more light. This idea is brilliant. It was literally a $3 solution to my curtain problems. The second curtains were hung in about 5 minutes. I purchased a 2 pack of bungee cords at Target and I would say that the only draw-back to this solution was that I hadn’t thought about the bungee cords showing when the curtains are open. So when I pull them open, you can see the green bungee cords. It doesn’t bother me much but if I use this trick anywhere else in my home, I’ll spend the extra money for the black bungee cords that will be less noticeable. We traveled to Ireland a year ago in May and I’ve had our map laying around ever since. It’s the actual map we used while driving through the narrow streets on the wrong side of the road and in the wrong side of the car so needless to say - it has a little sentimental value to us. I decided to try covering our last name initial with the map so we could display it on our mantle. I purchased the cardboard letter “B” from Joann Fabric for about $3 and used Mod Podge to glue it on. I managed to get all of our important stops somewhere on the front or back of the letter. I had to get creative and piece together bits of the map for the insides of the hole but this ended up being about a 30-minute project. I am so happy to look up and see that memory displayed on our mantle. And it’s fun when people pull it down and ask us about our trip. I love preserving memories through those stories over and over again. This is brilliant. I am 5’ 3” and I end up needing to hem nearly every pair of pants I purchase. It was never the same to try to recreate a hem line because it always looked homemade. 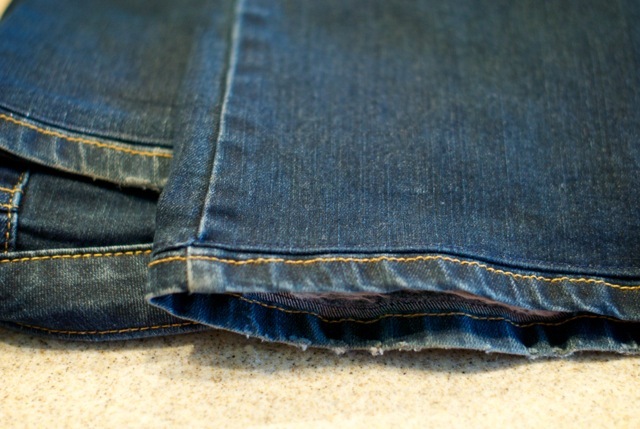 Now, with this super simple way of hemming pants, I can finally keep the original hem. I have used this method for three pairs of pants now, and it’s nearly impossible to tell that the pants have even been hemmed when I am wearing them. I love that I can customize my wardrobe to be a more tailored fit now. We bought a new car in April. The second day I had it, I opened the car door and hit the the cement garage wall and left a tiny little scratch on the door. 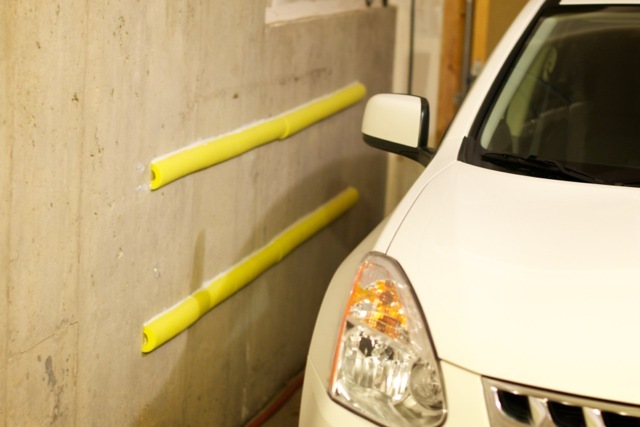 I remembered seeing this pin on Pinterest and my husband installed our own pool noodles on the side wall of the garage the next day. Maybe they seem a little silly, but with a 2 year old, we’re in and out of the back doors a lot and it is so nice not to worry about the car doors scraping anymore. This was a $5 solution. The best thing I’ve ever done for sewing in a straight line, was adding rubber band seam allowances to my sewing machine (I used hair ties because rubber bands are few and far between in our house). A simple little addition to my machine and I now have very nice, straight seams on my sewing. It’s easy to adjust them for the project I’m doing. I also like that they are different colors so I can keep two seam allowances handy for any given project. Such an easy, simple idea. I’m curious about how you’re using and liking Pinterest. Have you done any big projects or used any smart ideas lately? Link to it or tell us about it. 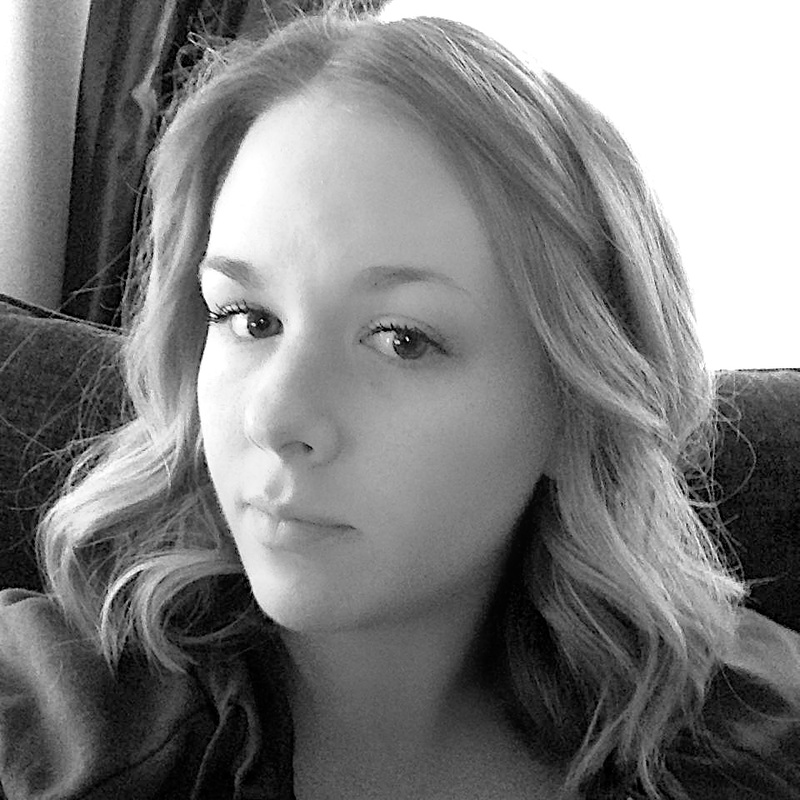 I really enjoy hearing from you and how you’re using new ideas in your world.